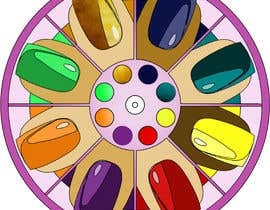 Please design a spinner that is to be used for a girl nail polish game. 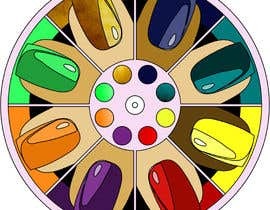 There should be 8 equal sections of the colors included. 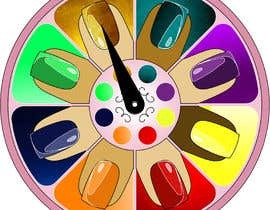 Refer to the provided photos for the colors. The spinner should be designed in an attractive fashion. Please refer to the provided examples for ideas. The spinner is 5X5" and is also included in the uploaded files. This is to be printed, however, I will handle the uploading and printing. 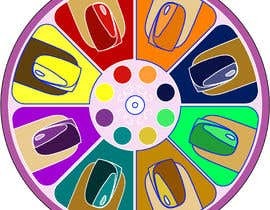 All that is required is the graphic overlay for the spinner.